When I went there just after it opened it struck me that the discounts weren't really discounts at all. Buy one to get the second at half price? How about a discount on the first one? No? Oh I see. 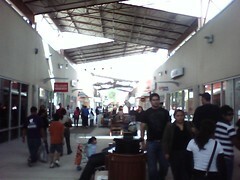 I think this mall is aimed more at rich shoppers from south of the border than at the local Valley folks.